Lionesses of Africa officially kickstarted its global women’s entrepreneur showcase event programme for the year back in our favourite European city, Berlin, on the evening of 20 March. Lionesses of Africa founder and CEO, Melanie Hawken, joined Former Minister of Economic Affairs and Energy, Brigitte Zypries, and other leading entrepreneurial eco-system players, to showcase and celebrate innovative digital entrepreneurs from both Germany and Africa. 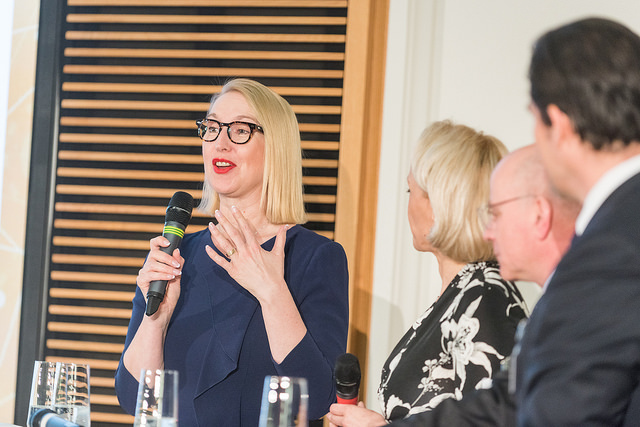 This latest event was held once again in the stately surroundings of the Ministry of Economic Affairs and Energy in Mitte in the heart of Berlin. Lionesses of Africa selected 2 leading women entrepreneurs from the continent to pitch their innovative digital platforms, apps and solutions to big business, government, investors and influencers at the event. It was an exciting platform and one which attracted a capacity audience, eager to hear some great new ideas and products being pitched. "This event is a wonderful example of the power of partnership to make things happen for Africa’s digital women entrepreneurs." "It’s about getting the world talking about the incredible women entrepreneurs on the African continent who are developing innovative solutions and products that can address real challenges in today’s world." The programme for the Startup-Night Africa event continued with two rounds of pitching - firstly, from African startup companies offering creative solutions for the German and African markets; and secondly, from German startups that have developed interesting business models for Africa. 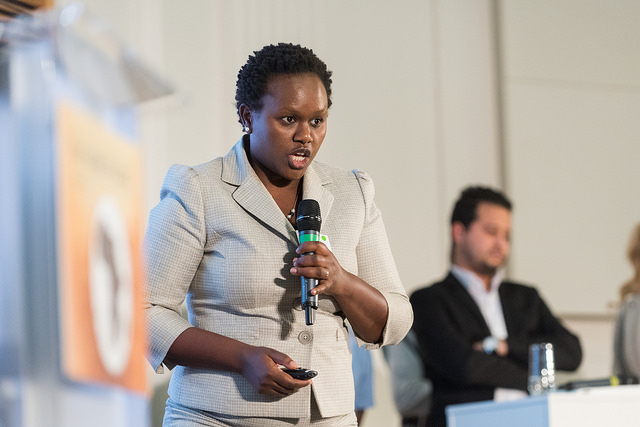 The first of the Lionesses of Africa to pitch on the evening was Dorcas Muthoni, founder of Open World in Kenya, who showcased her game-changing new app called Open Business. It is an affordable point of sale app giving micro-entrepreneurs the tools to run and grow their businesses by keeping track of sales and inventory in real time. Next up on the speaker platform was South African entrepreneur, Jacqueline Rogers, founder of My Pregnancy Journey, and the creator of a new life-changing app for Africa’s expectant moms. It provides relevant, local content on a wide range of subjects relevant to those women who need a wealth of information on their pregnancy, but often can’t access it when they need it. The third round saw well-established German enterprises willing to collaborate with African startups on new digital developments. The event closed with a poster session featuring many of the participants and networking. A great example of the impact that results following their showcase and exposure at Startup Night Africa in Berlin, can be seen in the five inspirational women who participated in last year’s event. They are now collaborating and doing business with German companies and really taking their businesses to the next level. These included Vere Shaba, founder and Director at Shaba & Ramplin Green Building Solutions in South Africa; Brenda Katwesigye, founder of WaziVision in Uganda; Josephine Marie Godwyll, founder of Young At Heart GH in Ghana; Benji Coetezee, founder and ceo of EmptyTrips in South Africa; and Temie Giwa-Tubosun, founder of LifeBank in Nigeria. Illustrating the exciting developments that are being announced by these five women entrepreneurs working in collaboration with their German partners, Melanie Hawken gave a live demonstration of the WaziVision eye-testing technology that is changing lives in Africa.